HomeMTNWow!! Samsung Max Premium Now Working Directly With MTN Mpulse Data Package. Wow!! Samsung Max Premium Now Working Directly With MTN Mpulse Data Package. Finally, the stress is over, Great news another VPN has been finally Introduced for Mpulse data package. In fact, this new VPN am talking about is called Samsung Max Premium and of course it works straight away for Mpulse data plan without the need to import any Config file. This New VPN is officially designed by Samsung but first detected by Our Member Called Kings best, but at the same time all patched, mod goes to me especially for doing such great work to help we Mpulse users to enjoy the benefits of the Mpulse data package. 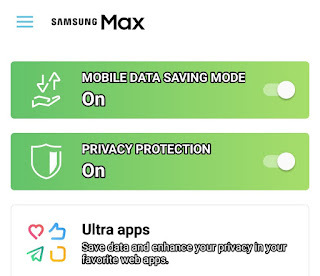 Without much time, let me quickly show you the requirements you need on how to make use of this VPN called Samsung Max Premium for your Mpulse data plan. So let quickly get started. 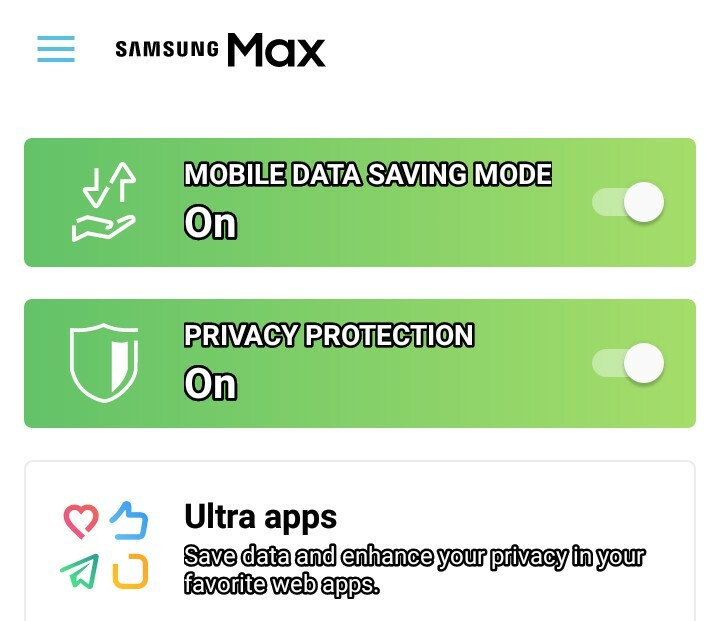 Samsung Max Premium VPN Apk. How To Make Use Of Samsung Max Premium For Mpulse Data. Step 1. Make sure you have an active Mpulse Data plan, Then Move on to Download the Samsung Max Premium VPN Here. Step 2. Once download completed, Now quickly install the VPN, Then Launch The VPN after installation completed. Step 3. Once you open the VPN, Tap On Agree, Start to continue, Then you will be asked to press Ok to Connect Which is trying to get you connected with your Mpulse data plan in 2secs. Step 4. Once you did this. Notice something! You will see a key icon shows at your phone notification bar. This shows you are connected with your Mpulse and ready to browse. But before then Make sure you enable data protection and Mobile data saving. Step 5. Final steps, You need to unlock 🔓 or enable the premium version to increase your mpulse speed to the fullest. To do this? Open the VPN tap on the last icon below the VPN and press Upgrade, Then tap Enable Premium Mode to Turn On. that's all. Enjoy while it last. Why Samsung Max Not Working On My Device? Step 2. Go to your phone settings, Remove any Proxy/IP address and port from your Access Point. Make sure you only set your APN default to Web.gprs.mtnnigeria.net without proxy. Step 3. Try to Restart your Android device. And of course, if its don't work after you followed up all the instructions given above. Pls kindly learn how To Use Other VPN 👉HERE for Mpulse data plan. Thank You.